Buy this item and earn 14 Kredits! Each 100 Kredits collected, you get a € 1.00 discount on your next order! First release of the XENOKORP Militia Series which aim to help new artists kickstart their carreers with affordable releases, like any of its future pears, it comes as a 500 copies limited edition full-color cardboard sleeve CD with full-color insert including all lyrics and credits. Includes free digital download version of the album. 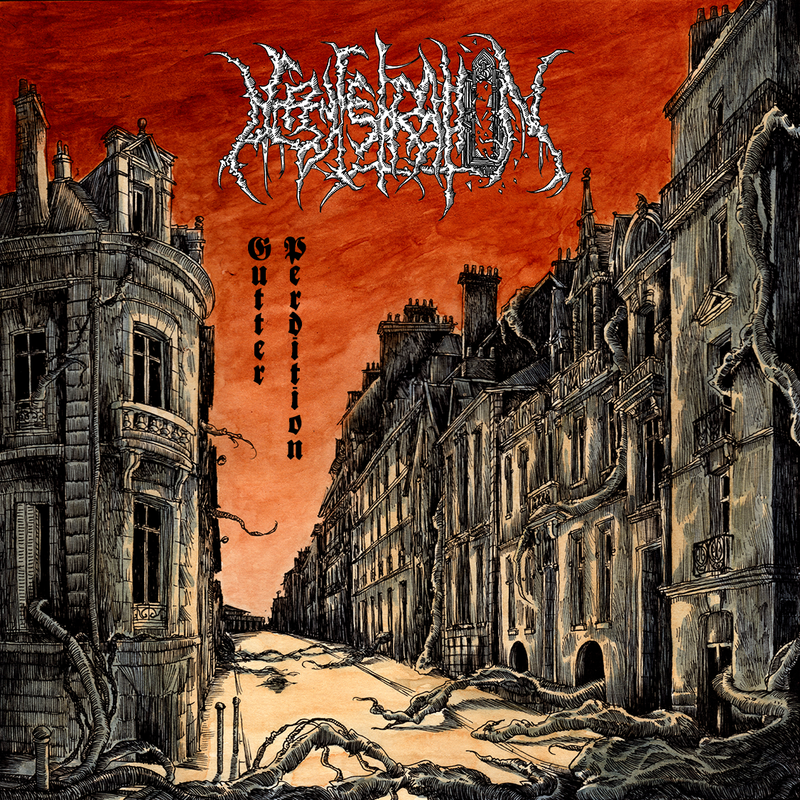 Even though young -the band formed in 2014- DEFENESTRATION are, with their first EP “Gutter Perdition“, capturing the real essence of early 90’s straight-forward yet brutal Thrash / Death but without an once of the nostalgia that’s driving many to become copies of ersatz, following a now long-forgotten path that doesn’t builds up on a high-level of musicianship and intricate riffing and opaque song-structures but rather on mostly fast-paced tracks instead where, in contrast and for even more efficiency, grooves and melodies are taking an important part and put even more emphasis on the up-tempo and old-school, or let’s put it in less trendy words, unadulterated ferocious Death Metal moments, resulting in a refreshing breath of rotten air of a debut!